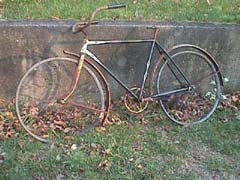 The common diamond frame design makes this Iver Johnson bicycle a basic model. 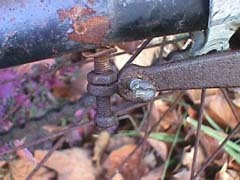 Iver Johnson was well known for its deluxe truss-frame and their marketing phrase “Trust the Truss”. 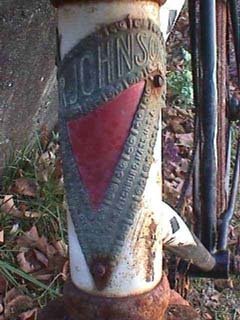 Iver Johnson’s time tested bicycle head badge. They used this design for at least 40 years. 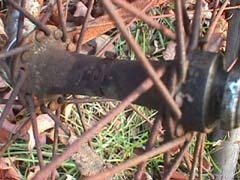 Iver Johonson bicycles had hubs with their own brand name stamped into the shell. 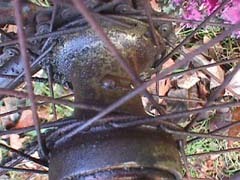 New Departure Model A rear hub.